Having fun in the dark. build in flashlight, digital clock and thousands of riddles, browsing and saving millions of photos as wallpapers. Build in riddle app and image browsers run inside of flashlight app. 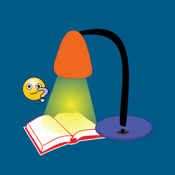 Flashlight can remain on while you are reading.